Though known for her outspoken honesty, Kelly Osbourne says the world is in too fraught a place right now to discuss politics, so she’s avoiding the topic altogether. Larry King: I understand now you steer clear of talking politics. Larry King: Why? You steer clear of nothing. Kelly Osbourne: Because we’re at a time right now where the world is incredibly scared. And when I know what I’m talking about, and when I know what’s going on, I can have an opinion. But I don’t think until everyone is fully informed as to what’s going on, we can even form an opinion that’s educational enough or well-spoken enough to where people won’t just attack you, because you can’t make anyone happy right now. Larry King: So you censor yourself? That’s not you. 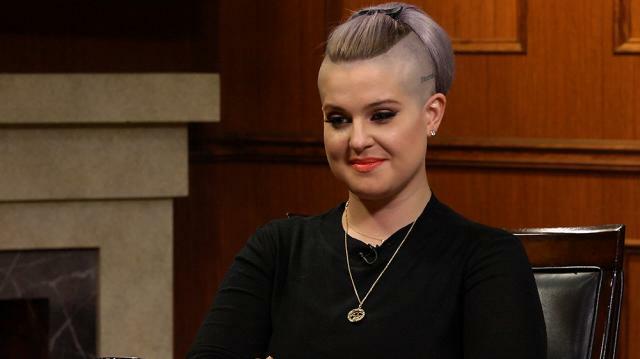 Kelly Osbourne: It’s not censoring; I won’t open my mouth if I don’t know what I’m talking about. Larry King: So you don’t know enough about politics to discuss it? Kelly Osbourne: I don’t know enough about why the world is where it is right now for me to make a comment. Larry King: So you might say something that’ll be misconstrued.